Styrenics Circular Solutions (SCS), the joint industry initiative to increase the circularity for styrenic polymers, has elected Nicolas Joly, Global Business Director, Polystyrene, Trinseo, as SCS President and Tanguy Kervyn, Deputy Director European Public Affairs – Chemicals, Total, as Vice President at its inaugural annual general meeting end March 2019. At the inaugural Annual General Meeting (AGM) of SCS, the membership voted for Nicolas Joly to be President of the organisation and for Tanguy Kervyn to be Vice President. Jens Kathmann was confirmed as the Secretary General. This follows the organisation’s incorporation in December 2018 in the course of implementing its roadmap to the scale-up of styrenics recycling until 2025. Trinseo (NYSE:TSE) is a global materials solutions provider and manufacturer of plastics, latex binders, and synthetic rubber. We are focused on delivering innovative and sustainable solutions to help our customers create products that touch lives every day — products that are intrinsic to how we live our lives — across a wide range of end-markets, including automotive, consumer electronics, appliances, medical devices, lighting, electrical, carpet, paper and board, building and construction, and tires. Trinseo had approximately $4.6 billion in net sales in 2018, with 16 manufacturing sites around the world, and approximately 2,500 employees. 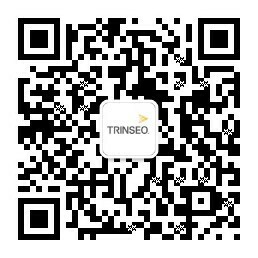 For more information, visit www.trinseo.com.